While visitors travel to Big Sur for myriad reasons, you might say they stay for the beaches. Surfers, kiteboarders, boaters, and parasailers all know the beaches of Monterey are prime adventure material, and running should be no exception to the rule. If you favor running on sand, the uninterrupted stretch of beach between Del Monte Beach and Moss Landing is a great route for a roughly 3 mile out and back on nothing but gently graded pristine white sands. If your legs tire of sand running at any point, you can link up with the Monterey Coastal Recreation Trail and return on the harder surface there. 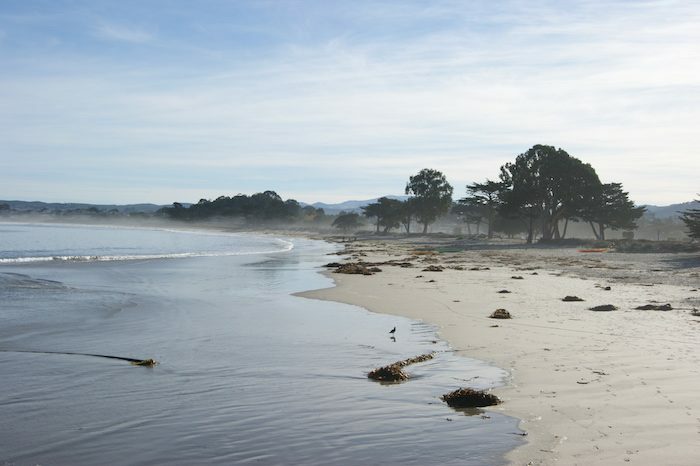 Add-On: Hop of beach and run on the Monterey Bay Coastal Trail, toward Lovers Point and Pebble Beach. This municipal beach is accessible from the Del Monte/Camino El Estero bus stop.